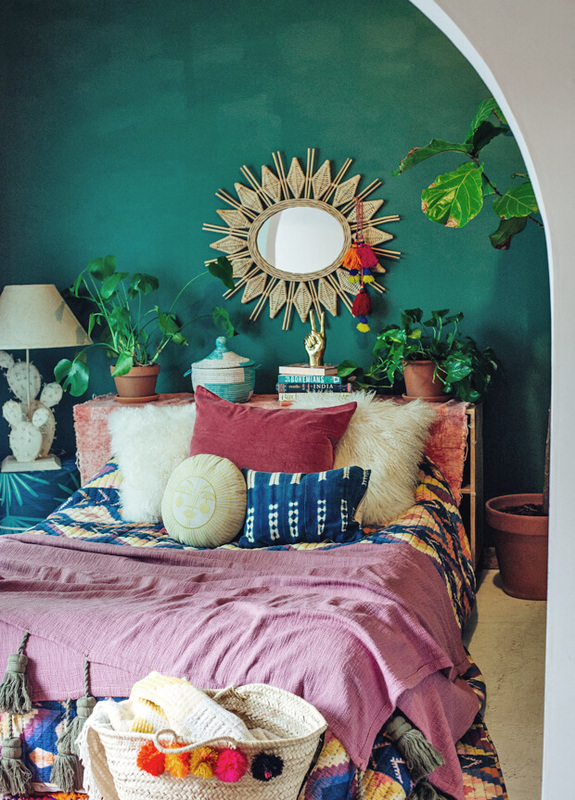 How to create the perfect bohemian decor? 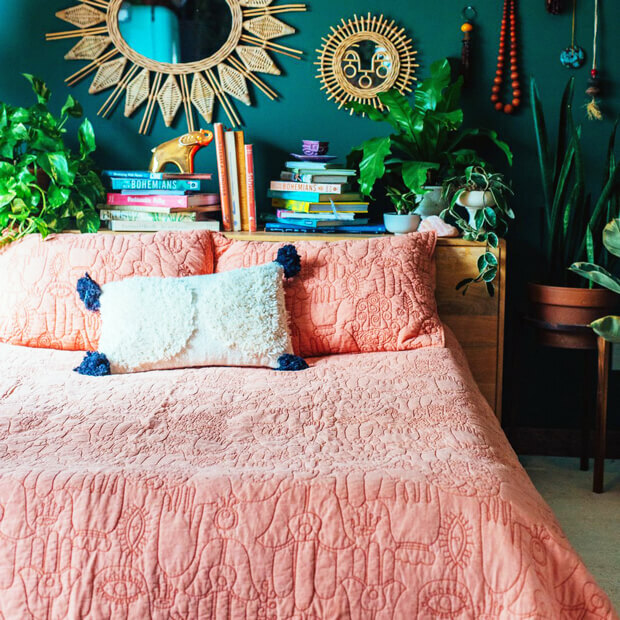 There are no rules to when it comes to creating the perfect bohemian decor. 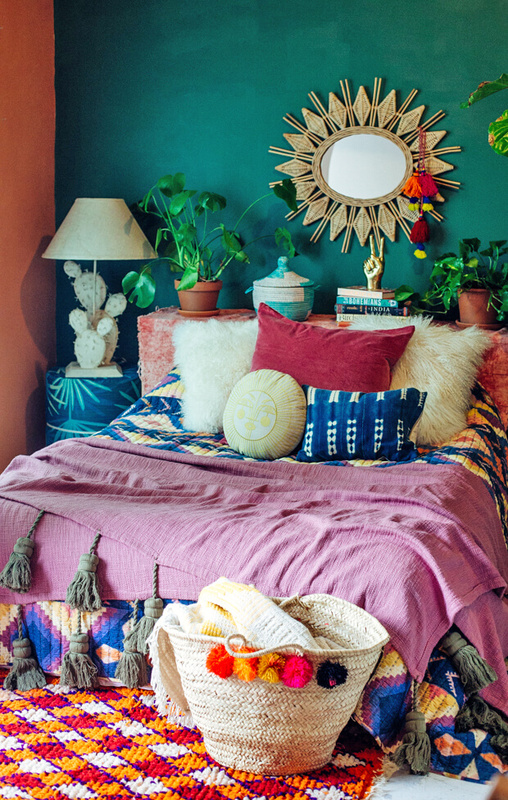 Mixing bright colors with natural materials, vintage bottles and lots of pillows. 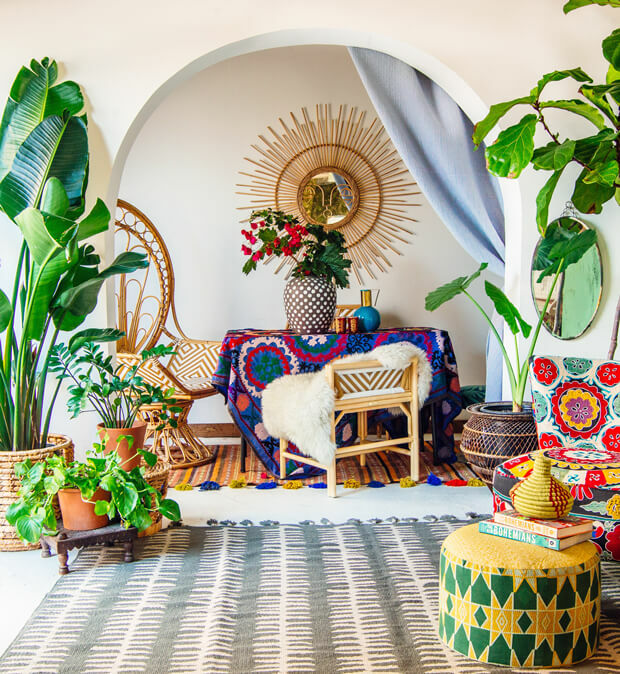 Filling your home with all your travel souvenirs from Morocco and Mexico. Handmade carpets or a jewelry box from Tibet. Just be sure to use a lot of patterns and don't shy away from running up and down the thrift store. The best thing is to mix a lot of old with just a little new. As I promised my boyfriend not to turn our whole house into a pink paradise I've got my own boho room completely by myself. And yes it's pink! All the furniture in there I got from a second hand store and hand painted myself. Nothing gives me more pleasure in redoing old furniture and bringing them back to life. As for accessories pillows are a must. I personally like those bright Indian pillows with little mirrors on them which I often use them in my pictures as well. It's also a good idea to stash a lot of pillows together in different fabrics and patterns. If you are a bit afraid to add so much color to your interior you can also opt for just one main color. Turquoise to your white and earth tone interior can give your room a whole different look. For adding even more color to your room think about using colored candles. 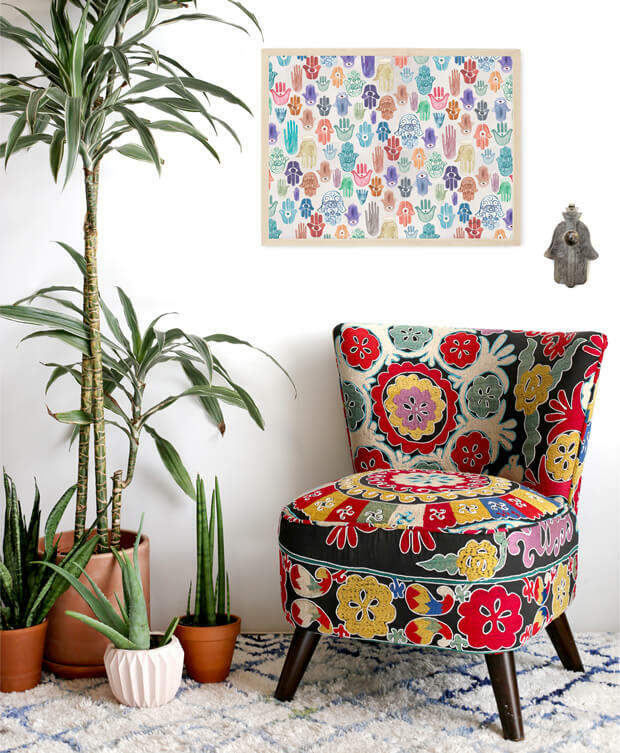 It's such an easy way and inexpensive way to bring some boho vibes to your room. Instead of spreading all the candles throughout the room try to concentrate them on just a few spots. Candle dishes are perfect for this. Put your candles in colored glass holder for even more effect. Second hand stores and garden centers are the ultimate place for accessories hunting. Big glossy bohemian books on your coffee table for the finishing touch! I adore books and I just love to get inspired by bohemian interior books and books on boho lifestyle. I've been collection them for a while now and I just can't resist to sneak into a bookstore and look for more. Life is too short to be boring! Be boho! Ps: don't forget to sign up for my weekly newsletter for more boho inspiration! 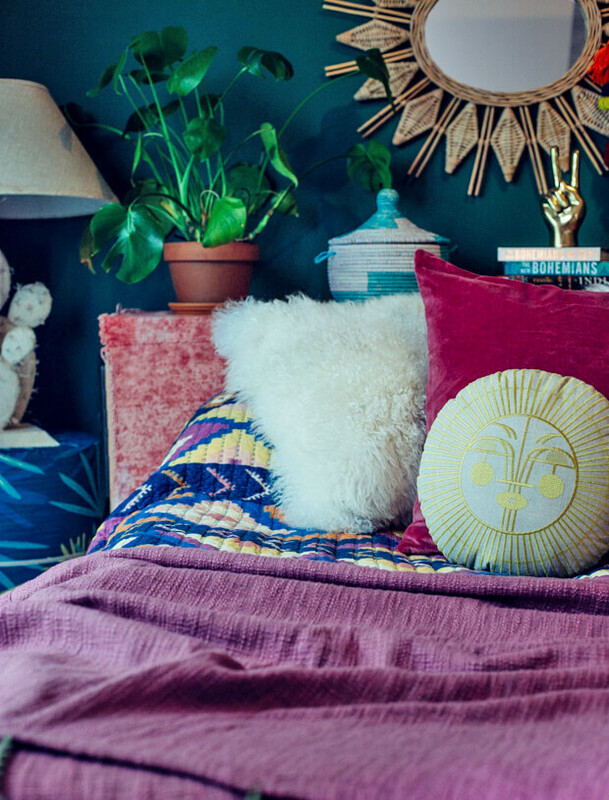 Here are some more styles you will love to create your own boho abode! Yay! 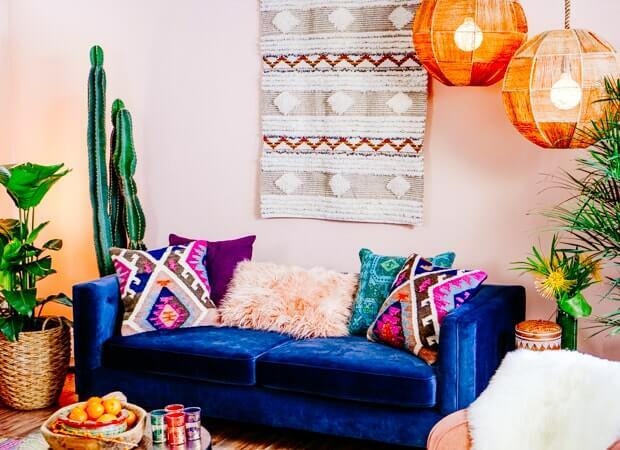 9 Tips to Create the Perfect Boho Style on a Budget!